Riding along SH-13, it took hardly thirty minutes to reach the town of Bandel from Pandua fair ground. 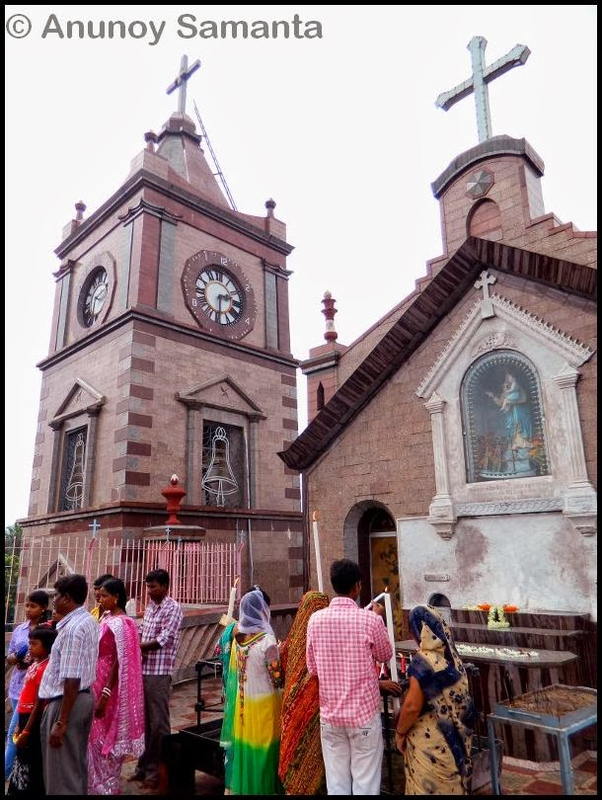 Hailing from Bardhaman I had heard of Bandel Church countless times, but as you tend to ignore places of tourist interest nearby your native place, I too had followed the same footprint till then, i.e. I deaf-eared the call of this church. On reaching Bandel I inquired the road direction to the church from a helpful localite. The church was located adjacent to the Don Bosco School. What I’ve observed till date is, when a local guy comes to know that I’m a motorcycle tourer he shares information and directions with added warmth. If you ask me the inside logic, I’m just as clueless as you are. A probable hypothesis could be- Majority of people still considers riding on two wheels to be a mode to small distance commuting. In five minutes, I was in front of the Basilica of Holy Rosary. 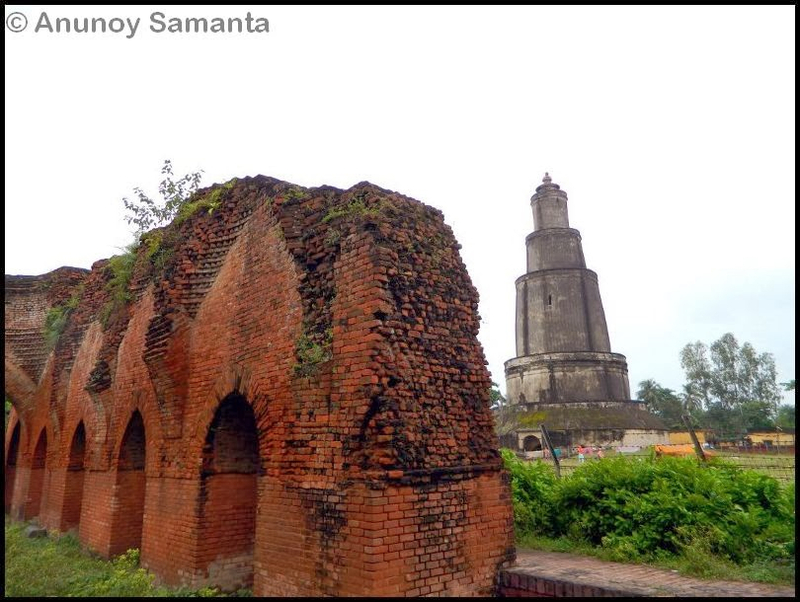 Yes, that’s the official name of Bandel Church. Needless to say, it was massive and somewhat comparable in size to the St Philomena’s Church (do not take it too literally) in Mysore which I had visited earlier. Although there were many visitors, the ambiance inside the church was serene and appropriate for prayer. This Portuguese church, the Basilica of Holy Rosary attracts a lot of Christian pilgrims along with other tourists to the old port town Bandel all throughout the year, especially during November-January. It is one of the oldest churches in India. 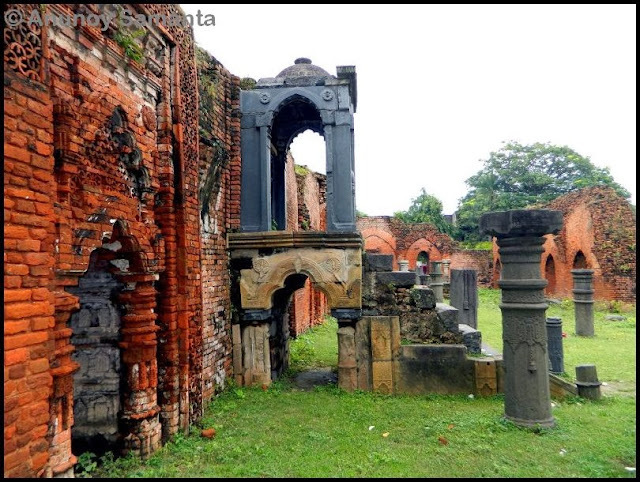 The church that stands today with three altars, several tombstones, an organ and a shrine to Mary was the reconstructed in 1660 by Gomez de Soto on the ruins of the original church which was built much before in 1599. 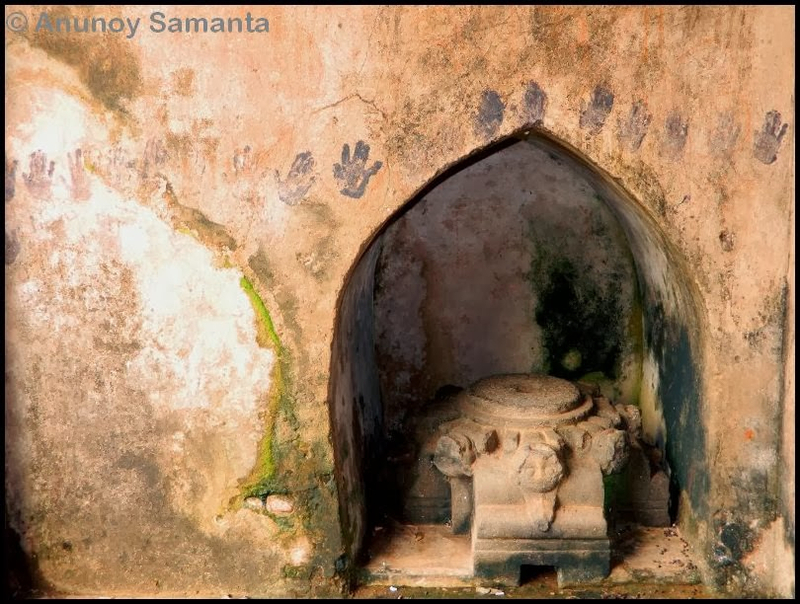 You can see the keystone of the original church bearing the date 1599, on the eastern gate of the monastery and an antique piece of ship’s mast in front of the church which was donated by the captain of a ship after he got saved from a tempest in Bay of Bengal with the divine blessing of Mary! 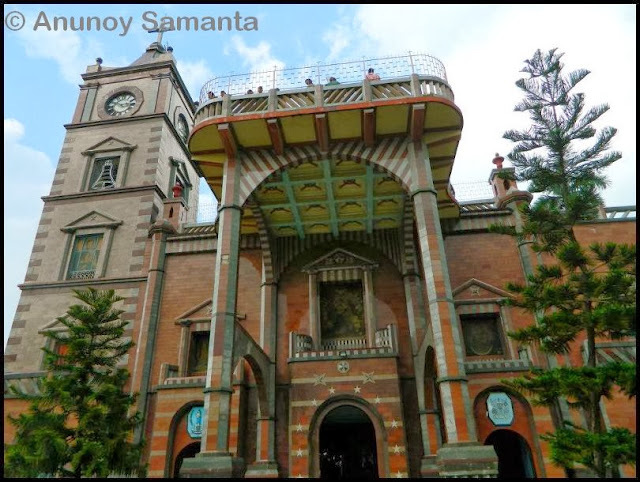 Bandel Church is massive and somewhat comparable in size to the St Philomena’s Church in Mysore. 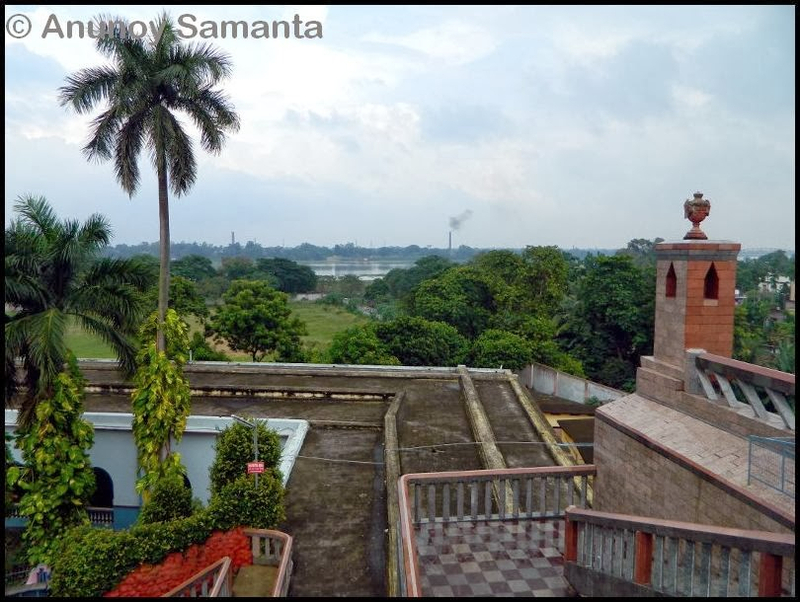 As you ascend the upper floors of the church you can view the Hooghly River and the surrounding area quite clearly. 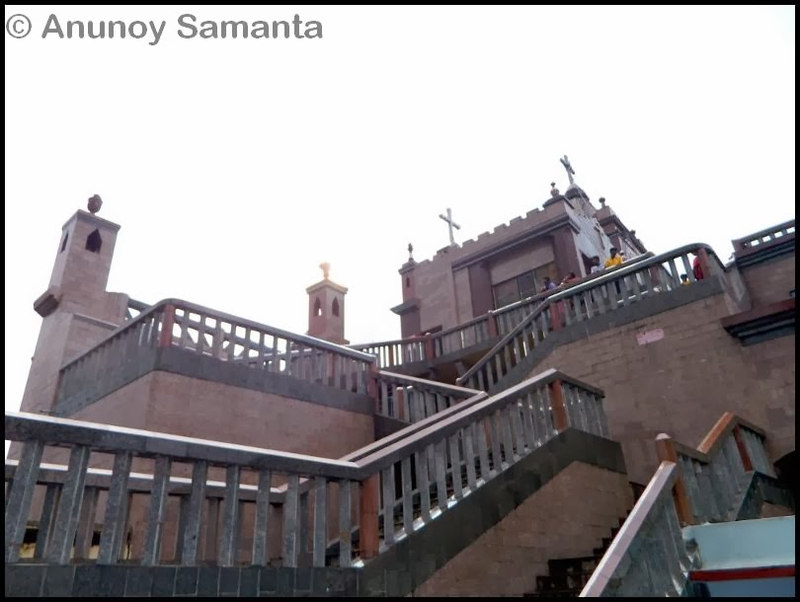 Although there were many visitors/devotees, the ambiance inside the church building was serene and appropriate for prayer. You’ll be approached by many candle sellers before you enter the church, which according to me is a good means to contribute to the local economy, even if it’s very little. I was glad to find my motorcycle and helmet safely stationed where I had parked them. 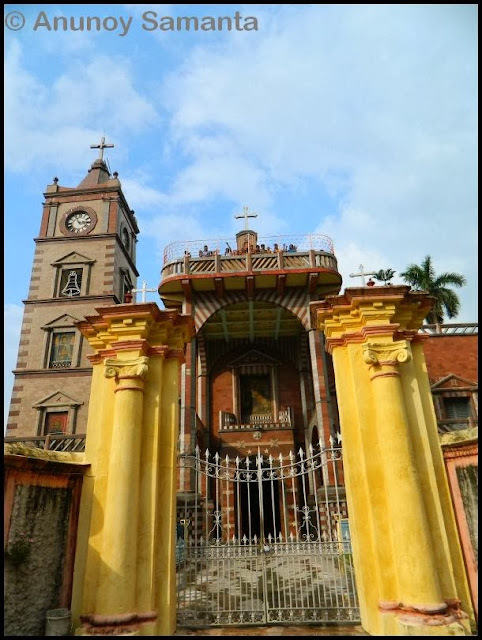 The easiest way (of course, other than hiring a cab) of reaching Bandel Church would be to take a local train from Kolkata/Howrah/Bardhaman and then opt for rickshaw ride up to the Church as you get down at Bandel railway station. 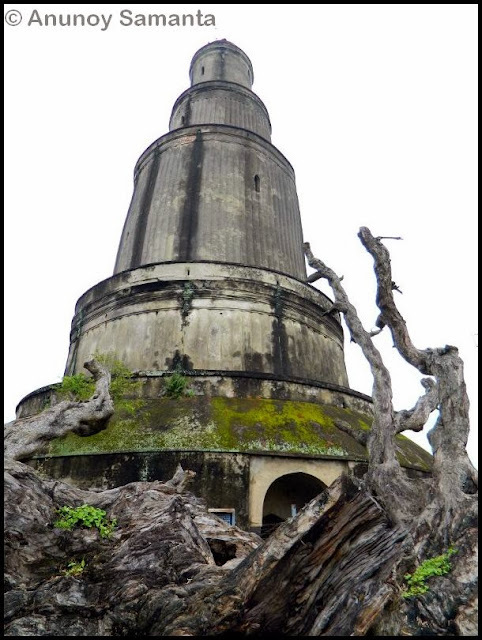 As you ascend the upper floors of the church you can view the Hooghly River and the surrounding area quite clearly. 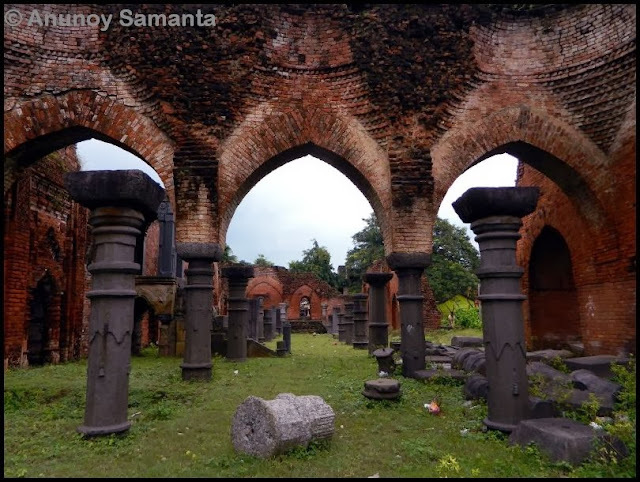 Well, from a traveler’s point of view I would not have advised you to make a trip to this Hooghly belt just for documenting the Bandel church but I am recommending you to do so, because Hooghly has many more historical gems to lure its tourists. You must visit the nearby Hooghly Imambara and the Hangseswari Temple at Bansberia to make the most out of your day trip. I put on my helmet once again in search of Hooghly Imambara. Read out its tale of sorrow in the following blog post. Signing off with your kind permission... See you folks! 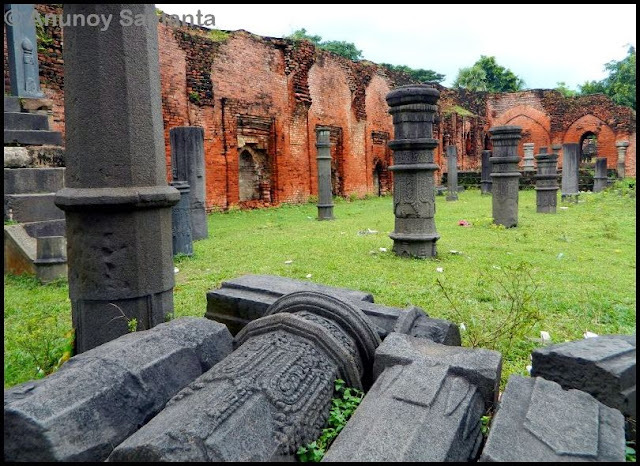 Bandel Church, the Basilica of the Holy Rosary is one of the oldest churches in India!